Migraine patients of Chennai and Bengaluru are finally relieved of their pain by using the newly launched e-Device ‘Cefaly’. 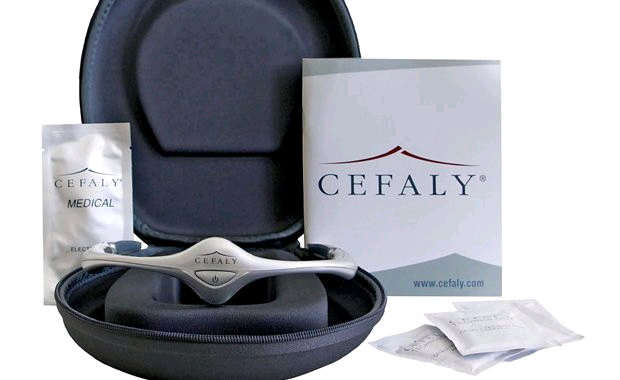 Cefaly Technology from Belgium has come out with a new product that effectively produces a soothing effect directly on the 12 nerves that are responsible for migraine. This treatment is very simple - patients have to place an electrode on their forehead which is connected to Cefaly and relax. They can also adjust the intensity with a button. Dr. Prashant Dinesh, President of Everest Healthcare highly recommends this device because with this removable device, there is no need to go for implementation of cranial neuro-stimulators in the head. According to him, patients must use it for minimum 20 minutes per day regularly for 40 days. He has further warned that children below eight years must not use this e-device. Sudha Suresh, one of the migraine sufferers, got relieved from headache and is happy with the results. Cefaly is available from the official website of Everest Healthcare for Rs.25,000.